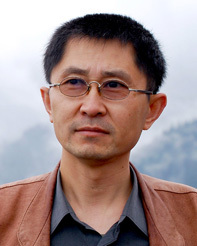 Yifeng Cui is the founding Director of the High Performance GeoComputing Laboratory at SDSC, and an adjunct professor at San Diego State University. He is an internationally recognized expert in the development of large-scale earthquake simulation software and helped to establish the Southern California Earthquake Center as a world leader in advancing high-performance computing activities in earthquake system science. Cui has presented more than 30 invited talks at international conferences and prominent venues. He is the recipient of NVIDIA Global Impact Award in 2015, the IDC HPC Innovation Excellence Award in 2013, SciDAC OASCR Awards in 2009 and 2011, and an ACM Gordon Bell finalist in 2010 for parallel computing research. He received his B.S. in Meteorology from Nanjing Institute of Meteorology, and a Ph.D. in Hydrology from the University of Freiburg.